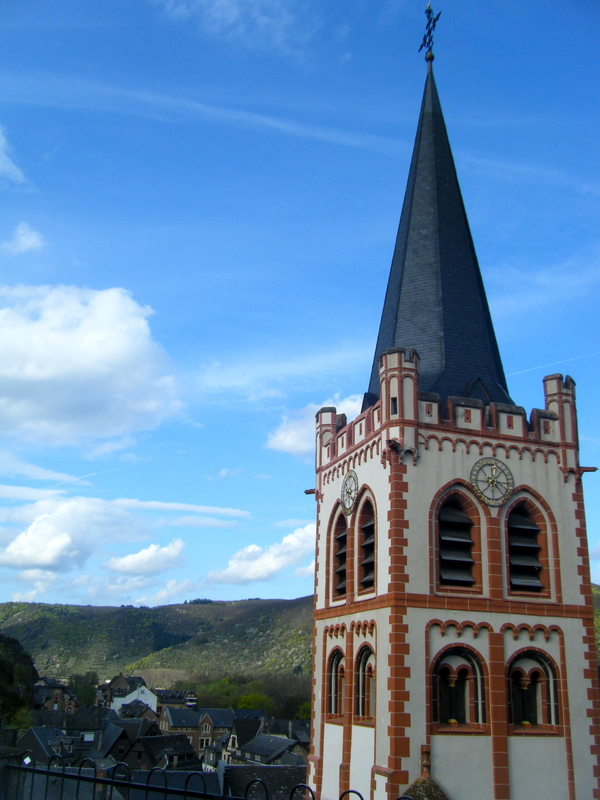 After Köln, we took a train to Bacharach, a small village on the Rhine. It must not be particularly well-known among natives, because every German I have spoken to has never heard of it. I swear it exists! We arrived on a rainy Sunday evening, and the village was pretty much dead. Which wasn’t surprising, since most German towns pretty much shut down on Sunday, but I was nervous that a town as small as Bacharach wouldn’t be much livelier on a Monday. We spent the next day exploring the town. It’s incredibly small – you definitely don’t need more than two days to feel comfortable that you’ve seen everything, and even that might be stretching it – but very cute, full of timber-frame houses and cute little shops. My parents’ main goal in visiting Bacharach was to do some wine tasting, but we were largely unsuccessful in these efforts. Most of the wineries were closed, since this is low season for tourists, and not exactly prime wine season regardless. Still, it was a very pleasant town to walk around, with plenty of history to explore, such as the ruins of a 13th-century church. There’s also a castle atop a hill overlooking the village which is now actually used as a youth hostel. I think the walk up would be pretty below average if you had a heavy pack – it’s about 15-20 min, uphill the entire way – but hey, then you get to sleep in a castle. That’s pretty cool right? I walked up there just to explore, and it seems like a very nice place to stay. Moreover, it offered wonderful views of the town and the river valley. All in all, if nothing else, Bacharach offered a great middle point between bustling, modern Köln and our next stop, Munich. It was a lovely chance to stop and enjoy the quiet life along the Rhine. 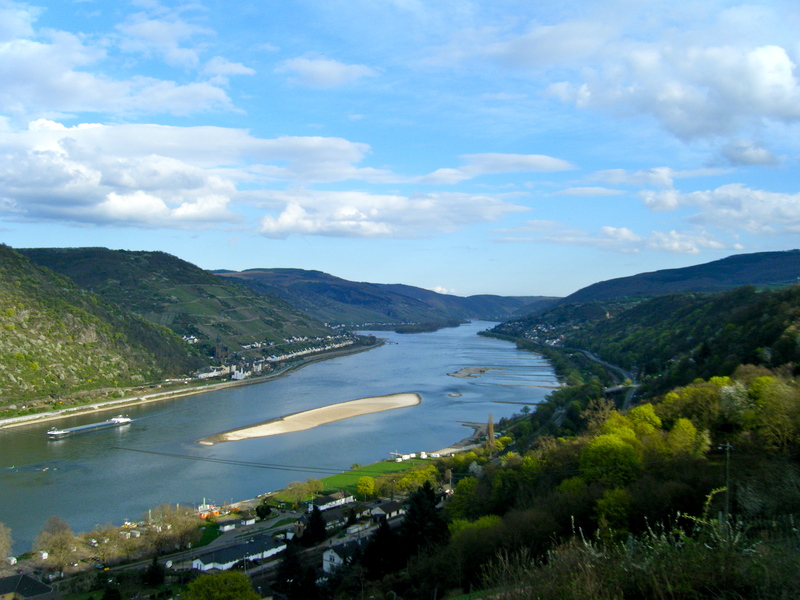 Looking down the Rhine River Valley from the vantage point of the castle. Hey, is that where Burt Bacharach is from? Beautiful pictures! Thanks for sharing them. You can see why the castle was buiilt there. Wikipedia has a great entry on the place.